As always, I definitely did not play even a tenth of the multitude of games that those lucky people over at Opinionated Gamers get to play so my choices are totally coloured by that. As well, due to living in Canada, many a game that I finally played this year may have been a 2010 release. Deal with it. Maybe just consider these the favourites of the games that were new to me this year. My favourite game this year earns its status for playing so completely and wonderfully different than any game I own. In Mammut, players are cavemen determining how to share the spoils of a hunt. The hunt is composed of 31 tiles, of varying values and importance, and each player in turn can take as many of them as they want from the spoils in the middle or all the tiles from one other player. The key is that if you take the tiles away from someone else, you have to return at least one back to the center (they were being "too greedy!"). This back and forth of stealing and returning continues until everyone has tiles. The round then ends and a scoring occurs similar to Knizia's classic Ra. 4 or 5 rounds and the game is finished. This game is brilliant, loaded with strategy, and helluva lot of "take that" nastiness. No other family game this year has made me think so differently about how to play well. For more details, see my full review here. Or just go out and buy the damn game. It's wicked, tense, strategic fun. This one may come as a surprise to you (it sure did to me). It also may be from 2010 but I don't care. When I first read the rules to this, it seemed like there wasn't a single original mechanic. And maybe there isn't. But after playing it I found the game so well-balanced, so interesting, and so easy to explain, it's worth every second. On paper, it's just a worker-placement game about building the tallest towers in five different colours. But it's gorgeously produced and the worker-placement is cleverly handled with cards where players must follow suit to take certain actions after others. It's an extremely fun family strategy game that is super-tense right through to the finish. Kramer invented Princes of Florence, one of my all-time greats, and his masterful touch is quite evident here, although Asara is a slightly more relaxed affair. But only slightly. A very, very pleasant surprise. 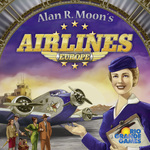 Airlines Europe, by Alan R. Moon - It's a quicker, slicker version of Moon's Union Pacific/Airlines system and the tension in the game sneaks up on you. Imagine Acquire meets Ticket To Ride and you're starting to get the idea. But you gotta play it with the flight ban rules which can be found here. It adds some nastiness and clogs the board up quite nicely. 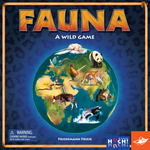 Fauna, by Friedemann Friese - Definitely my favourite party game this year and it was republished in English this year by FoxMind Games. 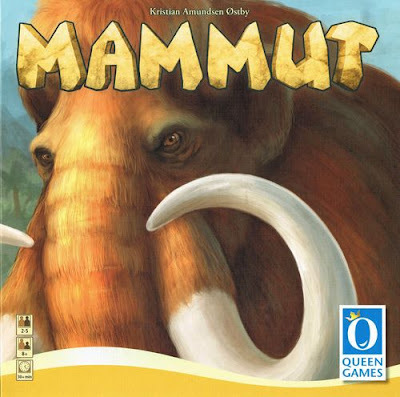 This is a trivia game about animals - where they live, what they weigh, how tall they are - where you can win points by still being close to the answer and not exactly on it. Sounds dry but it's actually shockingly fun. 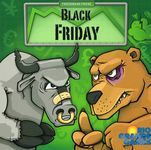 Black Friday, also by Friedemann Friese - Once you get past the god-awful ruleset and make sense of how to play, you'll find yourself immersed in one of the cleverest stock market simulations ever put to board. It's tense and strategic but still chaotic and a bit number-crunchy. Maybe not for everyone but my math friends and I love it. 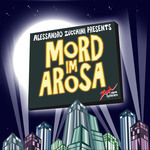 Mord Im Arosa, by Alessandro Zucchini - I love this game of dropping cubes in a tower and listening to which floor they fall to. It's simple, hilarious, and nasty. This is the most enjoyable game I've played all year and also one of the cleverest. 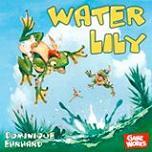 Water Lily, by Dominique Ehrhard - This little race game was brought to my attention at Origins this past year and I'm glad we picked it up. It's a very simple race game that's made quite tricky by the memory element of the scoring. Excellent, suspenseful, and so quick. It's also one of the nicest productions I've seen in years where the box becomes the board. Just lovely. I rewrote the rules for Black Friday and posted them to BoardGameGeek.com. They are a lot easier to read and play though. 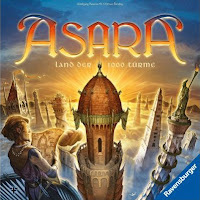 I have been wanting to pickup Mord Im Arosa, but the international shipping costs have given me pause so far. Hope someone starts pushing it here in the US.